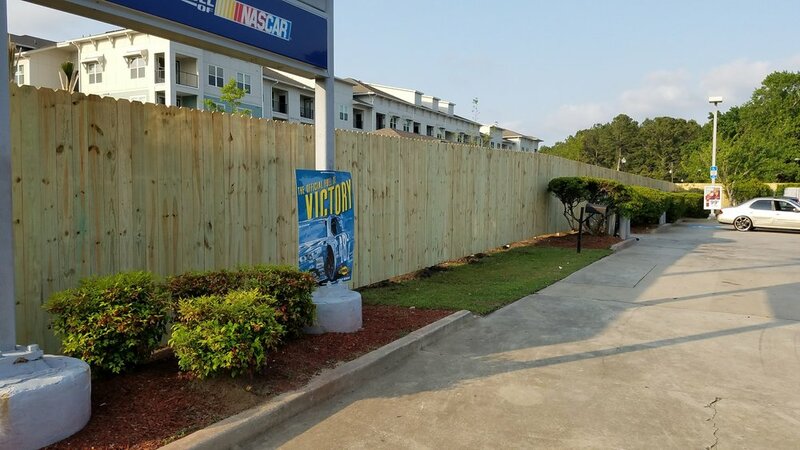 From Myrtle Beach to Charleston, Columbia to Florence, Goode Fence is a leader in commercial fence installations and repairs. Whether a city park, tourist attraction, hotel, warehouse, factory, retail store, senior living facility, apartment complex, airport, utility facility, self-storage lot or anything in-between, Goode Fence has the commercial estimating, in-house fabrication shop and experienced installation crews to craft the best, right solution for your commercial fence need. Click or call to let us bid your next commercial project. Goode Fence offers dozens of chain link fence and gate options for virtually all commercial applications. Light commercial, heavy commercial and industrial specifications. With or Without barb wire or razor ribbon in galvanized, black and green. 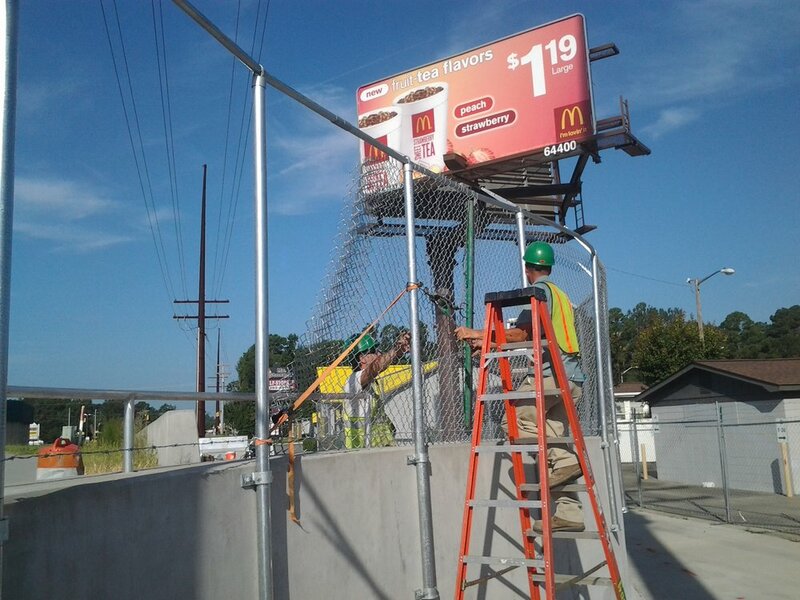 Our estimating department can work with you to solve virtually any chain link need, call or click to contact us today. Through our network of skilled vendors and our own custom steel and aluminum fabrication shop, Goode Fence can create custom fabricated fence and rail products for specific commercial needs. Whether it’s an 85’ wide custom articulating gate system, or pipe rail for loading docks and wheelchair ramps we have a solution. At Goode Fence, we love the hard stuff! Property Management companies, general contractors hotel and attraction operators trust Goode Fence to provide hi-quality commercial and industrial grade ornamental aluminum and steel fence solutions for pools, property perimeters, community entrance gates, and retail sites. Our aluminum products include traditional picket fence style, semi-solid louvered fence and solid privacy fence in four standard colors and unlimited custom colors. Estate gates are available in single and double swing configurations, plus bottom or top tracking cantilever configurations. Ornamental steel fence and gates offer high strength and security for applications away from the coast. Vinyl Fence is best for neighborhood perimeters, dumpster enclosures and back-of-house applications, vinyl fence is available in privacy and picket fence styles up to 10’ tall. Where the look of a vinyl fence is required, but the durability of a chain link or steel fence, chose our exclusive steel frame, vinyl faced options. Our vinyl fence products are American made and come in white, tan and a variety of wood grain colors. Goode Fence also offers rated vinyl deck, porch deck and stair railing with or without ADA grab rail applied. Call or drop us a line today and let Goode Fence handle your vinyl fence needs. Wood and composite fence and gates are available in any number of configurations and designs. The beauty of a wood fence is you can completely customize the look and style of the fence. Either choice is perfect for perimeter fence or for use in back-of-house applications. We also use composite fences on retail and attraction sites to provide an attractive visual screen around utilities, and dumpsters. Goode Fence is skilled in crafting quality, heavy duty steel frame gates with a wood or composite face to limit major damage to gates and make repairs easy. Call us today to explore wood and composite fence and gate solutions for your next project.